This is the baby of the Sound Devices MixPre product line but there’s nothing babyish about the feature set! Even this cute little one has an integrated USB audio interface, high performance mic pre-amps, capacitive touch screen and Bluetooth connectivity! Sound Devices’ innovative Kashmir microphone preamps are ultra-low-noise, discrete, Class-A mic preamps with a -130dBV noise floor (that’s remarkably quiet!) analogue limiters and new 32-bit A-to-D converters to ensure professional grade audio recordings. 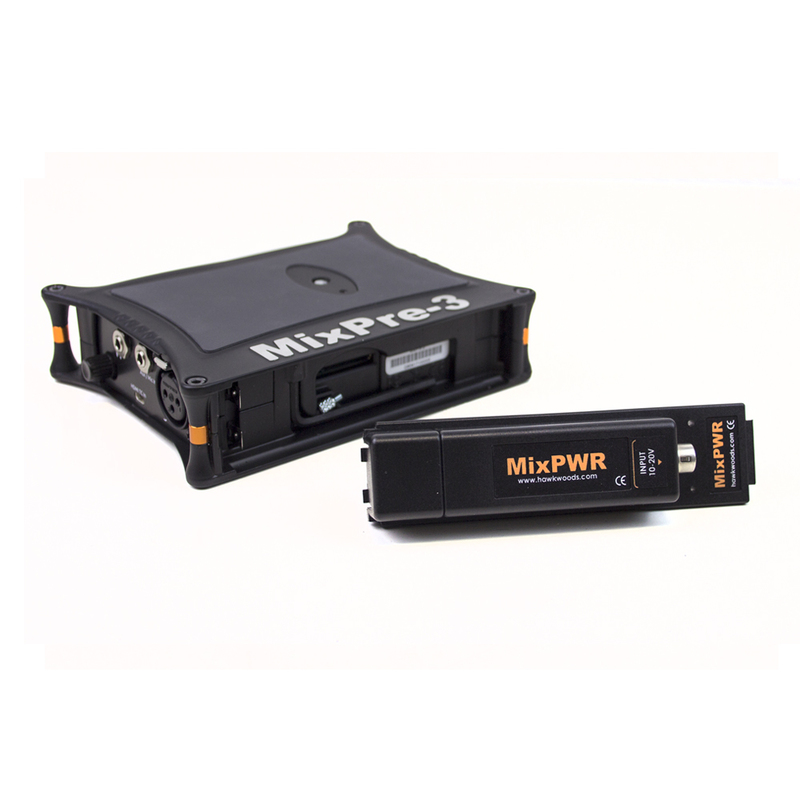 Both the MixPre3 and MixPre-6 make excellent USB audio interfaces, offering the unique ability to record audio to an SD card while simultaneously streaming multiple channels of audio via USB. And for the musicians amongst us a MixPre can be used with a DAW running on a laptop on those occasions where you don’t have mains power available. Ultra-compact & durable – the MixPre Series will fit any production environment, constructed with a die-cast aluminum chassis, the MixPre Series is both lightweight and incredibly robust. The responsive, capacitive touch screen is simple and intuitive in operation via the sunlight-readable colour LCD for the ultimate in convenient navigation. Other key features include pan and soloing plus easy-to-see ring LED metering per channel. There’s also a 3.5mm jack for headphone monitoring with user-programmable presets from the custom designed powerful, wide bandwidth headphone amp. 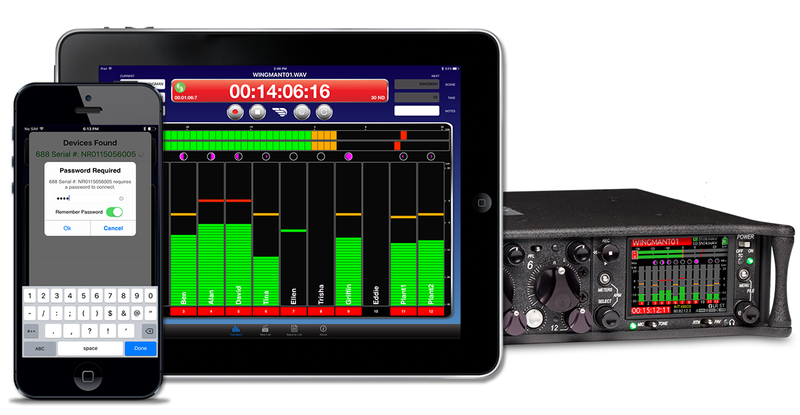 Built-in Bluetooth Smart® technology allows easy connection, control and metering via iOS devices from the Sound Devices free Wingman app. The MixPre-3 has two operating modes - Basic and Advanced. Basic mode allows even inexperienced users to make distortion-free stereo recordings right out of the box. Advanced mode offers more experienced audio users access to multi-channel recording and settings such as ISO metering, routing, timecode, mic pre gain, stereo and Mid/Side channel linking, headphone presets and more. For videographers MixPre-3 is the perfect camera companion – offering HDMI Record triggering, timecode, and retractable 1/4-inch-20-thread mounting screw. 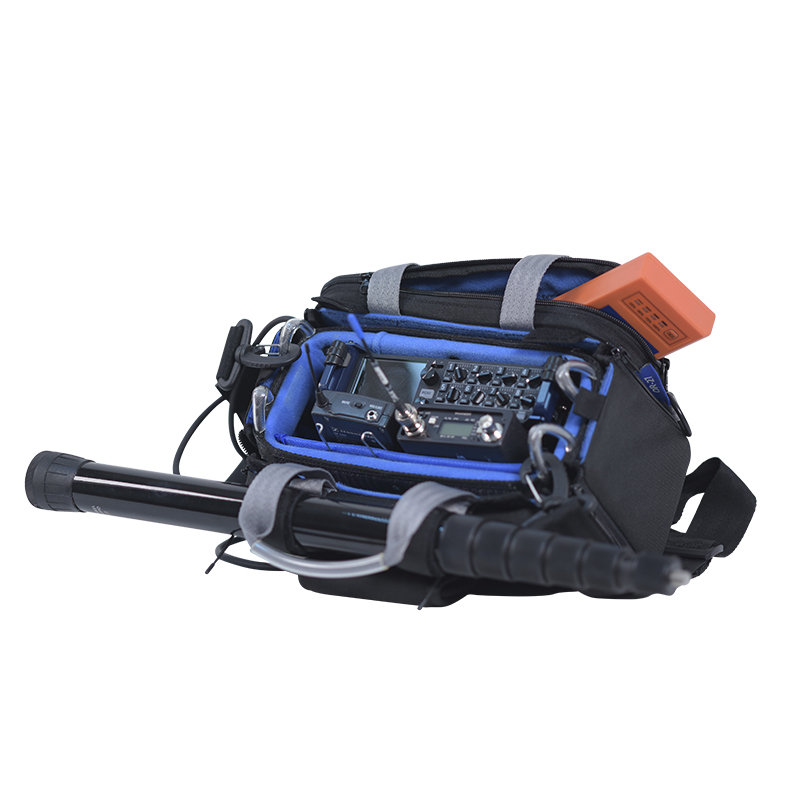 Flexible powering - for the ultimate in portability and convenience, all MixPre’s can be powered from AA batteries, Li-Ion batteries, a laptop’s USB-C or USB-A connectors or mains power via a suitable PSU. And here's a link to a specially priced bundle of a MixPre and some useful accessories, but if it’s not quite what you want just send in your shopping list and we’ll send a quote. To leave a review please sign-in. 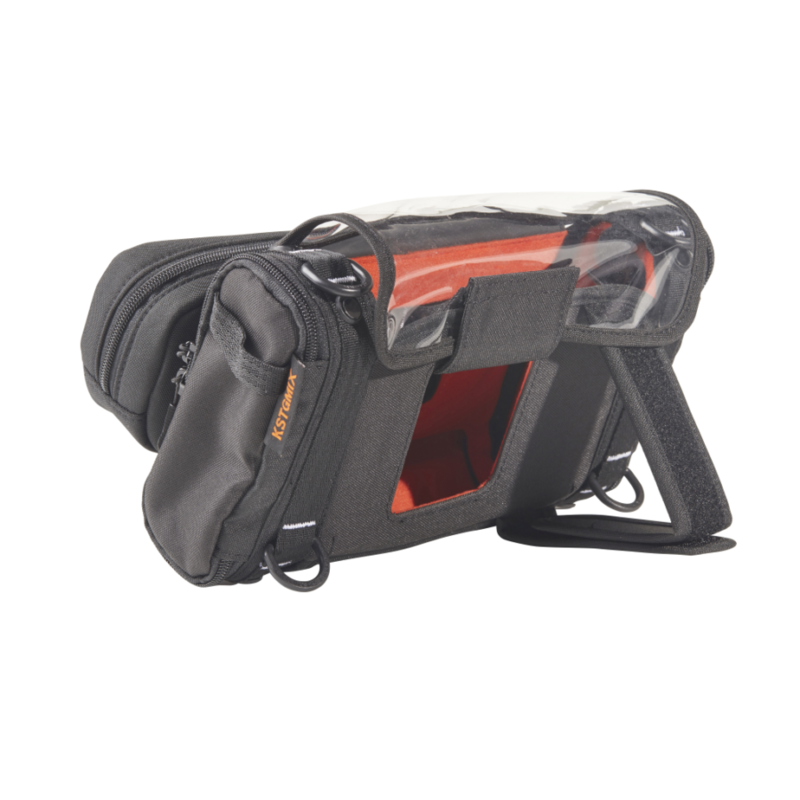 Orca Small Audio Bag - OR-27 with free OR-19 Organiser! I'm Martyn Richards and I started Soundkit in 2002 after nearly 20 years manufacturing the Filmtech range of portable audio mixers, so I've been involved in sound for TV and film for a very long time! If you phone the office the chances are that it will be me who answers - or it could be Caitlin Thomas the office manager. Caitlin also works as an actor and voice over artist so she knows what it's like on set and the pressure you work under. There's also Alistair McGhee - Alistair worked in TV and Radio at the BBC for many years and is well known as a writer of equipment reviews and will be looking after this lovely new website filling it with words of wisdom. So please come on in, have a look around and sign up for our newsletter - we won't bombard you, we're permanently busy so I'll be surprised if we manage one a month! Whether you're a newcomer to professional sound and need advice on choosing your first mixer or radio mic or if you've been doing it for years and know exactly what you need we'll do our best to solve your problems. We don't have one of those daft company mottoes that seem to be so popular these days - but if we did it would be "no nonsense" or "No fuss, no palaver"
If you're placing a large order or buying a complete kit then we may be able to offer an additional discount. Every product has an "Add to Quote" button, use these to put your shopping list together then click on "My Quote" next to the basket and when finished press "Send me my Quote" and we'll be in touch soon. Bear in mind though that all our prices are already discounted so there's no magic extra 20% available - but we'll do our best!